Education is compatible with modern day technology. Traditional literacy practices such as using flash cards, reading repetitious book aloud and highlighting key sight words are staples in literary education, however, these standard practices can evolve with the times as well. Here at Kids Corner, we have listings of FREE YA Titles and top 99 Cents Titles to load up your Kindle to promote and encourage reading in the classroom and/or home. Today, we have a special listing for our readers: FLASH CARDS! Flash Cards are a great way to present and practice vocabulary. Flash cards can be particularly important in the literary education of visual learners. 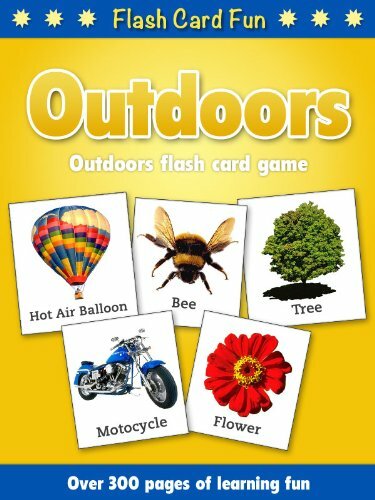 Flash cards are stimulating to younger kids and make learning fun for all kids. Please note: References to prices on this website refer to prices on the main Amazon.com website for US customers. Prices will vary for readers located outside the US, and even for US customers, prices may change at any time. Always check the price on Amazon before making a purchase. 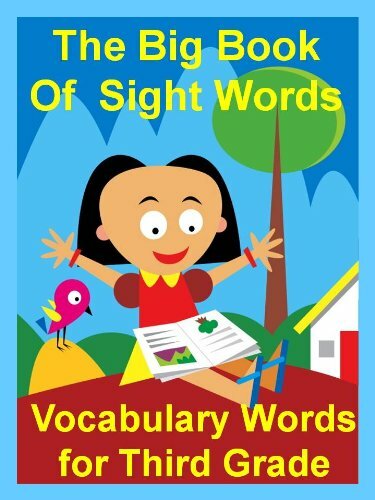 This fifth part of The Big Book of Sight Words series contains the 42 Sight Words on the Dolch List for 3rd Grade school children. The Dolch List is named after Dr. Edward Dolch who in 1948 compiled the 220 most common “service words” found in children’s reading books at the time. These are words that cannot be phonetically sounded out and should be memorized. The 42 words in this edition (Vocabulary Words for Third Grade) make up 50 to 70 percent of the text in books preschools are reading. It is recommended that most students learn to recognize all 220 Dolch Words and the 95 nouns by the end of First Grade. Fluency in reading the 220 Dolch Words and the 95 nouns is essential to literacy. Teachers and parents use a variety of techniques to teach them. Repetition and practice are key to making recognition of Sight Words automatic. Once this core of basic sight words has been memorized, children read more fluently, with greater comprehension. Because children love technology, this version was created to be viewed on a Kindle or any Smartphone with a Kindle application. Just one more tool in the parent’s toolbox to help their children master reading! 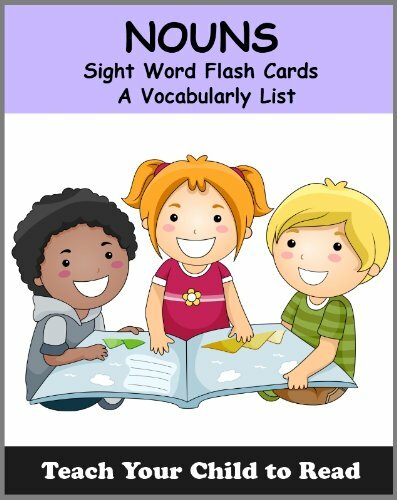 These sight word flash cards include 93 Noun sight words that all school aged children should know! Sight words can be known by many names including high-frequency words, Dolch words, Fry words, instant words or even Star words. Plus these cards have a skip around feature! This means you can just click on a hyperlink and move to another word in the section. An easy way to keep your child on his or her toes! NOTE: There are two words typically included on this list that are not listed here, Christmas and Santa Claus. They were excluded because they are “seasonal” words. Section 1 features the cards in alphabetical order with the name underneath. Section 2 features the cards in alphabetical order, but the name is not revealed until the next page. Sections 3 – 7 feature the cards in different random orders which helps children learn without relying on a fixed sequence. Each card shows a beautiful photo of the food in full colour (black and white on e-ink Kindles). This book is also ideal for classrooms with interactive whiteboards or projectors. This is an excellent (flashcards) picture book to introduce food, drinks, fruits and vegetables to young children. There are a total of 50 different food, drinks, fruits and vegetables featured separately on each page with a fun, bright and colorful illustration that children absolutely love. The simple layout is intended to help young children recognize and associate the food with their names more easily. 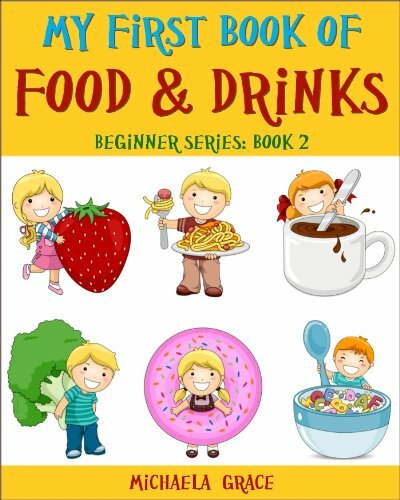 Learning to identify all the different types of food, drinks, fruits and vegetables will be fun and easy with this book! Fun Day at the Park – 19 bright and colorful images on common things found at the park. Another Brand New Kids Corner FREEBIE! Barbara Esham’s STACEY COOLIDGE’S FANCY SMANCY CURSIVE HANDWRITING – FREE Today on Kindle For Kids Corner Readers!